Title: How Do I Conclude My Essay? Content Objective: I will be able to support a claim using reasons and evidence by identifying the elements of a strong concluding paragraph after taking Cornell Notes on the Guiding Questions on the Educanon activity. Language Objective: I will use the Good-Writing Terms resource and include at least 5 of the Good-Writing Terms in my writing. ​Homework: Revise your first draft so that it has a strong conclusion. Do Now: What 3 functions should a conclusion accomplish? 1. An essay without a conclusion is not finished. Don't leave your readers hanging. 2. A strong conclusion should restate your claim, restate your argument, and wrap up with the significance of your argument. 3. You will watch a video on Educanon that will help you understand the important elements of a strong concluding paragraph. Take Cornell Notes on the video. 1. 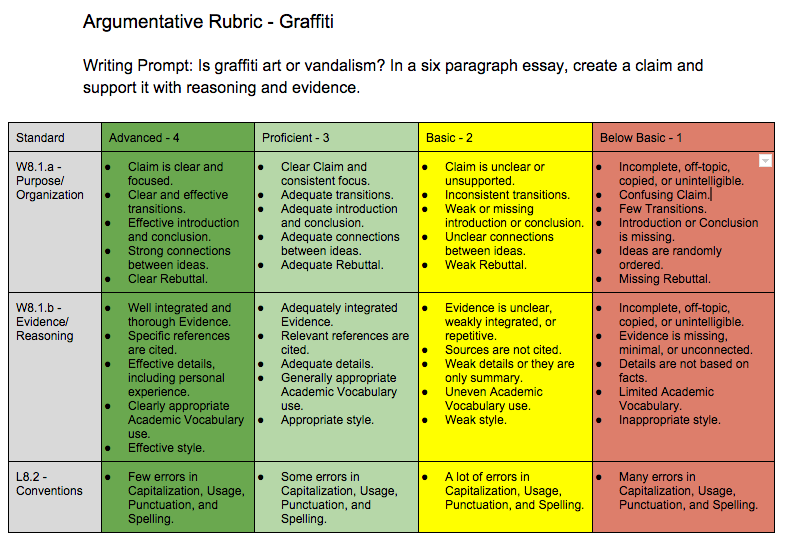 Use the Graphic Organizer to help you revise your first draft. Do you have all of the parts that you need for each paragraph? You may work with another person to help you revise your essay. 2. Use the Good-Writing Terms document to help you improve your transitions. Include at least 5 GWT into your first draft. ​Click here for Good-Writing Terms. Essay is due Monday 11/30.